Middling films are always the toughest to write about. You can’t go all out with blazing guns because, well, it isn’t that kind of a film. It also isn't the kind of film that you can shower praises on. No, Watchman is the kind of film that makes you feel vaguely happy about its snappy runtime. The kind which holds the viewer up at the gate -- neither letting them completely in nor leaving them stranded on the streets. There is a lot of convenient writing in Watchman. Bala (GV Prakash) breaks into a mansion of sorts that springs ledges, doors and windows almost as if it is granting unsaid wishes. He is being chased and he needs a way to avert danger, so let’s sprout a ledge here. A hideout spot behind a bookcase gets a window a dog can spot, but not the trespassers. Speaking of these trespassers, this film's antagonists are the kind of people who know about phone jammers but don’t bother to look for a CCTV camera. Vijay's direction makes it quite obvious what he wants the audience to notice and remember. The minute the camera zooms into something, you automatically bookmark it in your head for future purposes. This on-the-nose filmmaking makes the narrative a lot more predictable than it should have been. Fortunately, Watchman doesn’t give us much time to ponder over its logical loopholes. With a plotline that happens over the course of 24 hours and a runtime of a mere 95 minutes, the film neatly shifts back and forth, constantly giving us new information that moves the story forward. There is a romance track that, again, the film doesn’t spend too much time on. Despite having Yogi Babu in the cast, the film doesn't indulge itself much except for the errant joke or two. It is fascinating to see Yogi Babu’s growth after Kolamavu Kokila. He gets a proper introduction scene; his contact picture on Bala’s phone is a picture of Nayanthara from Kolamaavu Kokila. For the most part, the film stays true to format of the story that unfolds overnight, with a firm spotlight on its protagonist. And GV Prakash uses that spotlight surprisingly well. Bala has none of the fake machismo that most of the actor’s earlier characters are infamous for -- the most recent example of which came in last week's Kuppathu Raja. There is no loud proclamation of his relationship status, no crass dialogues about women, or the mandatory bar scene. As a young man plagued with debt, GV Prakash is subtle and efficient. 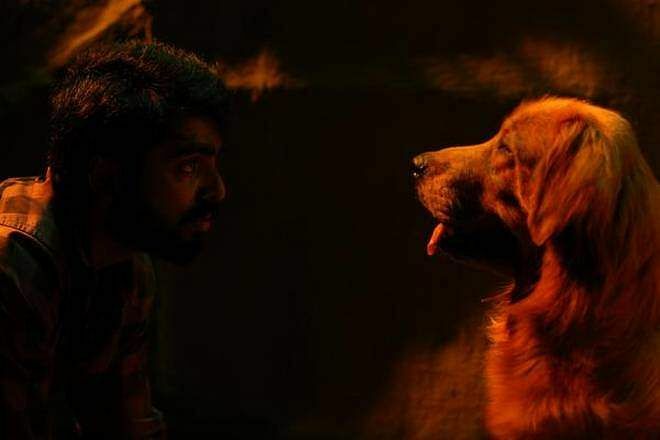 And giving him fine company is the dog, Bruno, who easily gets some of the best moments in the film. So much so that I wonder if the film’s release date (April 12) was chosen to honour the National Pets Day (April 11). While it might not offer us anything new, Watchman still makes for an enjoyable watch, provided you leave logic behind and don't expect too much from it.